Poyer, David. 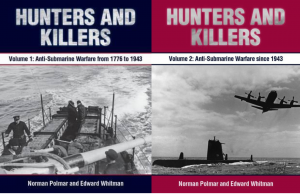 Hunter Killer: The War with China – The Battle for the Central Pacific. New York City, St. Martin’s Press, 2017, 320 pp. $27.99. 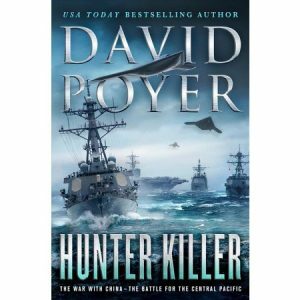 In Hunter Killer, David Poyer adds a volume to his most famous series, the Tales of the Modern Navy, following his signature character, Daniel Lenson, through intense combat in the Western Pacific. 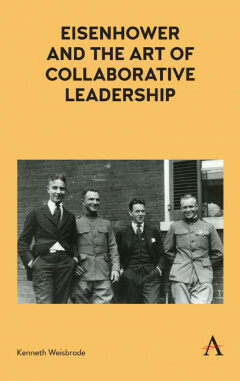 The work, 310 pages in all, is organized into chapters of roughly fifteen pages, each following one of four characters; Lenson, now an admiral commanding a Task Force; SOCM Oberg, a prisoner in Western China; Hector, an immigrant Marine recruit pressed into service in exchange for citizenship; and Lenson’s wife Blair – a policymaker in the Defense Department. The book flows quickly and returns most of the major characters of the Poyer’s previous novel in this series, Onslaught. 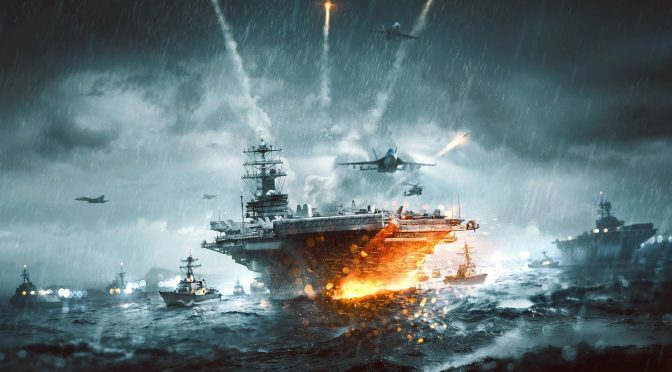 Whereas Onslaught, contrary to its name, featured more of a slow-burn run up to major combat, Hunter Killer, contrasting the image of a cerebral and vicious combatant, forwards the beginning of the cataclysm. 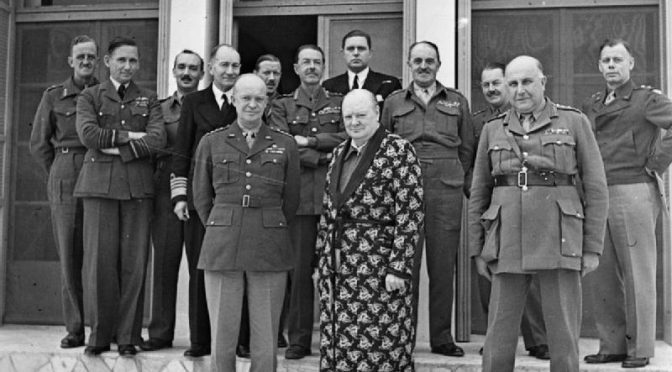 This takes the form of a Western Pacific where men and units are fed into the maw of combat between two great powers of a poorly-led United States and a militant and expansionist China. The major unit of action is Lenson’s Task Force 76. Like his namesake, a good man in crisis, the story begins with Lenson’s temporary flag promotion to command the amphibious/sea control task force centered on an LHA reconfigured for ASW. 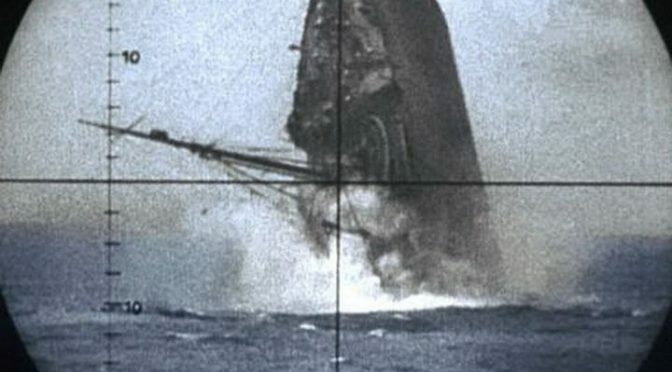 Lenson’s command is sent into a central-Pacific hornet’s nest of PRC submarines in a desperate attempt to open sea lanes to the U.S. West Coast and solidify the faltering American logistical train. 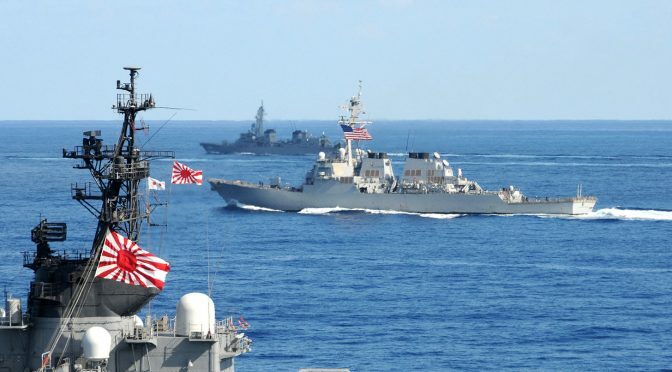 Inside the engagement envelopes of the Chinese attack-boats, TF-76 (included in it Lenson’s former command Savo Island) fights for life against submarine-launched torpedoes and missiles while trying to maintain the cohesion of the far-flung task force. Meanwhile, SOCM Oberg begins a horrific trek across the Tan Shian mountains, hauling a rag tag group of escapees and a horribly crippled leg away from a Chinese forced labor camp. Simultaneously, a new character, a Marine recruit named Hector, conducts infantry training with his newfound friends in the Southern California desert prior to shipping out on a risky attack at a vulnerable point in China’s fortress. All this while Lenson’s wife struggles to produce cogent policy against a backdrop of cognitively poor general and flag officers and divisive policy makers. The story is in many ways visceral, the combat fast and furious, and the objectives almost impossible. One of the most enjoyable portions of Poyer’s work is his strong sense of history. Poyer is clearly well-read, and one can see many of influences in his work. First, the author is practically begging his readers to pick up James Hornfischer’s Neptune’s Inferno, and both Onslaught and Hunter-Killer feature imagery and emotions of the nouveau-classic. Oberg’s trek through the mountains is reminiscent of Tim O’Brien’s Going After Cacciato, although devoid of the magical realism of the seminal Vietnam-era work. Finally, Lenson’s experiences are vaguely familiar to his namesake’s. Nelson, like Lenson, found himself in increasingly more difficult situations, ending famously at Trafalgar, where it appears the series is headed, in a massive firestorm. Moreover, Nelson and Lenson, in their early careers, were aggressive commanders who lived by the axiom “no captain can do very wrong if he places his ship alongside that of the enemy.” Like Nelson, Lenson’s thinking has evolved. He thinks more efficiently, more cerebrally as he makes difficult tactical decisions. Poyer does an excellent job of describing the burdens of command, operating with incomplete information while gambling with subordinates’ lives while attempting to accomplish almost impossible tasks with inadequate resources through the opaque lens of exhaustion. Finally, Poyer’s volume is a warning. 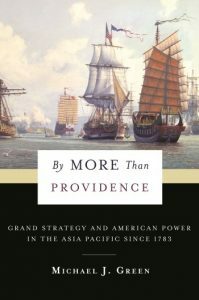 Through the authenticity of his writing, he reminds the reader that in great power war, technical prowess is not guaranteed, logistics drive operational necessity, at least in a war fought in the Pacific’s vast expanse, that such a war will require the entirety of national effort in a way that this nation has largely forgotten and may be incapable of waging, and that such a war may be closer than many think. If you liked Ghost Fleet, you’ll love this book, but unlike August Cole and Peter Singer’s work that introduces technical issues through the prism of a story, Poyer approaches war from a historian’s perspective: as the ultimate test of human will regardless of era or technology. 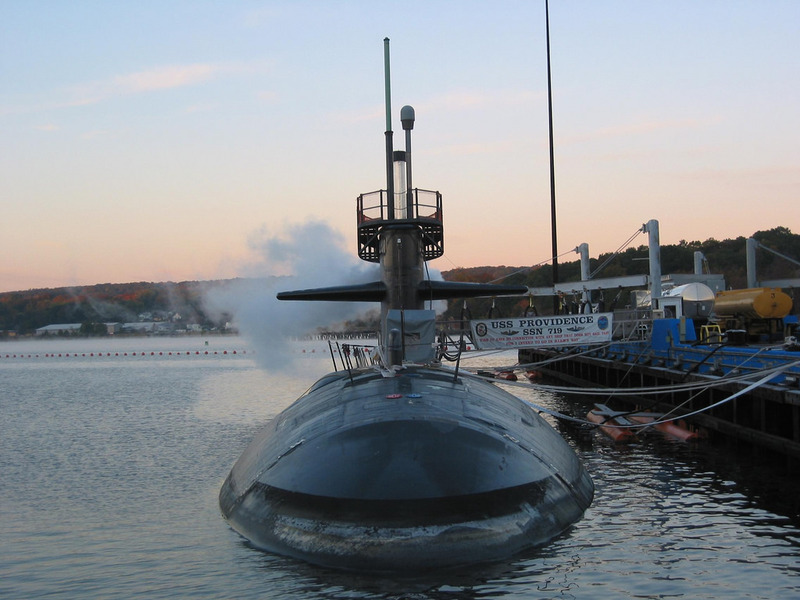 Michael DeBoer is a Naval Officer and frequent book reviewer for CIMSEC. Featured Image: Artwork for Battlefield 4.